As we all know celebrities are always looking for new ways to make more money then they are already swimming in, but are they going to succeed? that is the real question. Recently Hip-Hop's very own T.I.P (T.I) has made announcements that he is opening his very own Soul Food restaurant in downtown Atlanta, competition will be tough but im sure just the fact he is a star it will attract crowds from all over. 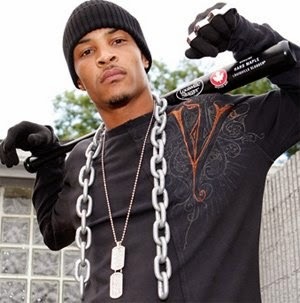 Do you believe in the success of T.I's restaurant?He's one of several celebrities who have dabbled in the food industry, including Rick Ross who owns multiple Wing Stops, Mark Wahlberg with Wahlburgers & Cam'ron & Dame Dash Opening restaurant in Brooklyn. No Menu or Name has been released yet but sources claim it will be serving upscale southern cuisine.